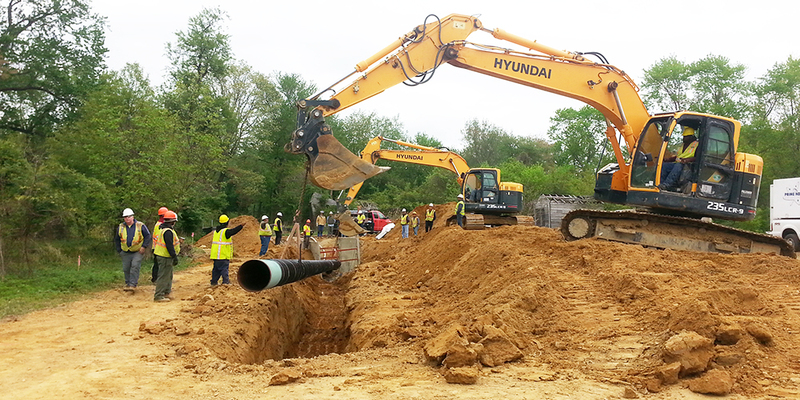 Pipeline Services | Geo-Technology Associates, Inc. 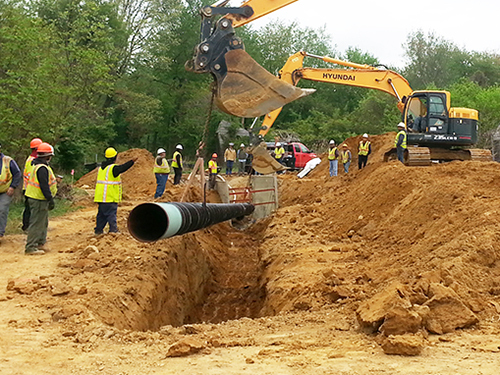 This project included approximately 5.4 miles of 16-inch diameter natural gas pipeline looping in Chester County, Pennsylvania and the expansion of a compressor station in New Castle County, Delaware. The looping was divided into two separate segments and the alignments mostly followed existing facility rights-of-way. GTA provided natural resource evaluations and federal and state permitting services for this utility alignment project. GTA coordinated with the United States Army Corps of Engineers (USACE), Pennsylvania Department of Environmental Protection (PADEP), United States Fish and Wildlife Service (USFWS), Pennsylvania Fish and Boat Commission (PFBC), Pennsylvania Department of Conservation and Natural Resources (DCNR), Pennsylvania Game Commission (PGC), Delaware River Basin Commission (DRBC), Pennsylvania Historical and Museum Commission (PHMC), National Park Service (NPS), Delaware Department of Natural Resources and Environmental Control (DNREC) Wetlands and Subaqueous Lands Section and the Natural Heritage and Endangered Species Program, and the Delaware State Historic Preservation Office ( DE SHPO). GTA prepared Environmental Resource Reports for submittal to the FERC, and pursued and obtained a FERC Certificate of Public Convenience and Necessity. Additionally, GTA submitted a Joint Permit Application to the PADEP and the USACE, and obtained a State Water Obstruction and Encroachment Permit and a Pennsylvania State Programmatic General Permit. GTA obtained Jurisdictional Determinations from the DNREC Wetlands and Subaqueous Lands Section and the USACE for wetlands/waterways at the existing compressor station site; provided FERC Environmental Inspector Training; and served as Environmental Inspector for construction on a portion of the project. GTA also managed Cultural Resource Services and Threatened and Endangered Species consultations through subconsultants on behalf of the client and obtained concurrence letters from the Pennsylvania and Delaware State Historic Preservation Offices, and the USFWS, PFBC, DCNR, and DNREC. The Delaware Department of Transportation’s (DelDOT) US Route 301 project impacted utilities in several locations across New Castle County, Delaware. 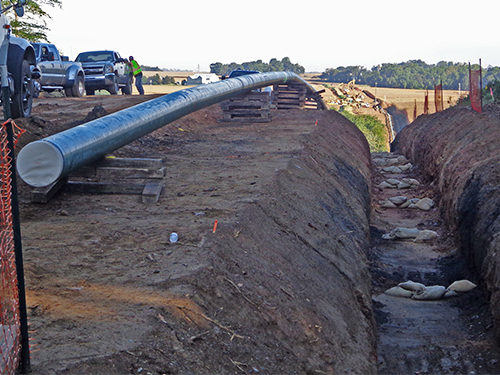 One location, located at the eastern end of the proposed highway, required the Client to re-locate approximately 1.6 miles of parallel 10-inch and 16-inch diameter natural gas transmission pipelines. GTA provided wetland delineation and permitting services for this project. GTA coordinated with the United States Army Corps of Engineers (USACE), Delaware Department of Natural Resources and Environmental Control (DNREC) Wetlands and Subaqueous Lands Section and the Natural Heritage and Endangered Species Program. GTA pursued and obtained USACE authorization to use Nationwide Permit 12-Utility Line Activities and obtained State Subaqueous Lands authorization for the project. GTA also coordinated with the DNREC and the United States Fish and Wildlife Service to provide construction monitoring surveys for the Federally threatened Bog Turtle (Glyptemys muhlenbergii). Additionally, GTA coordinated with the Delaware State Historic Preservation Office (SHPO) for the issuance of a Cultural Resource Survey Concurrence letter. 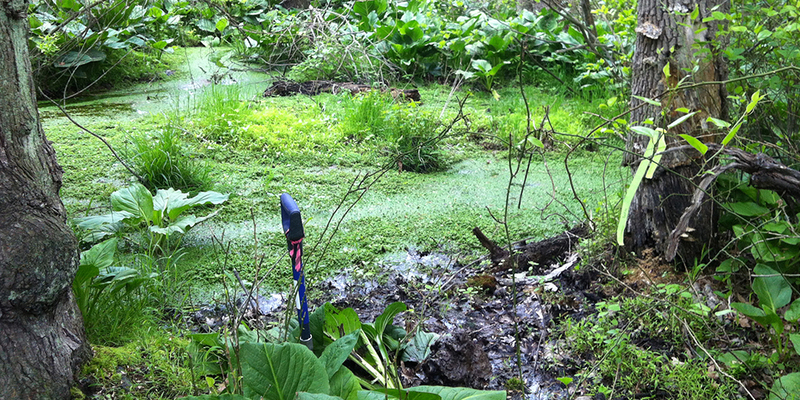 GTA managed Bog Turtle Surveys and Cultural Resource Services through subconsultants on behalf of our Client. 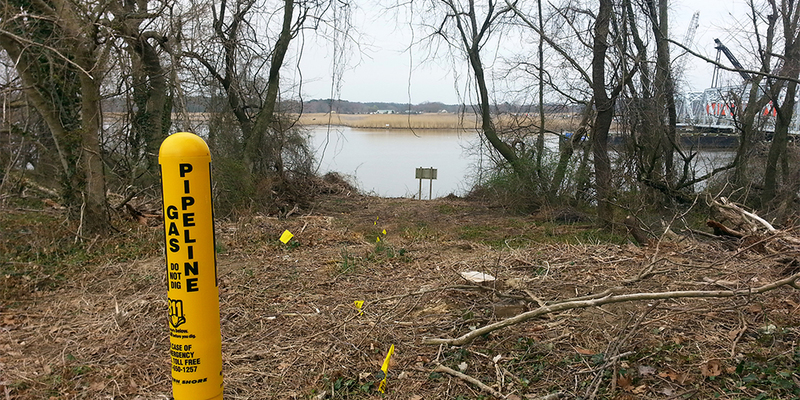 GTA provided wetland delineation and permitting services for this approximately 1.5-mile utility alignment project. 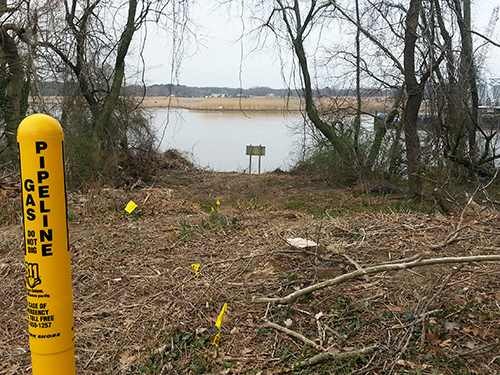 GTA coordinated with the USACE, Delaware Department of Natural Resources and Environmental Control (DNREC) Wetlands and Subaqueous Lands Section and the Natural Heritage and Endangered Species Program. GTA pursued and obtained USACE authorization to use Nationwide Permit 12-Utility Line Activities. GTA obtained State Subaqueous Lands authorization for the project and coordinated with the Delaware State Historic Preservation Office (SHPO) for the issuance of a Cultural Resource Survey Concurrence letter. GTA managed Cultural Resource Services through a subconsultant on behalf of our Client. 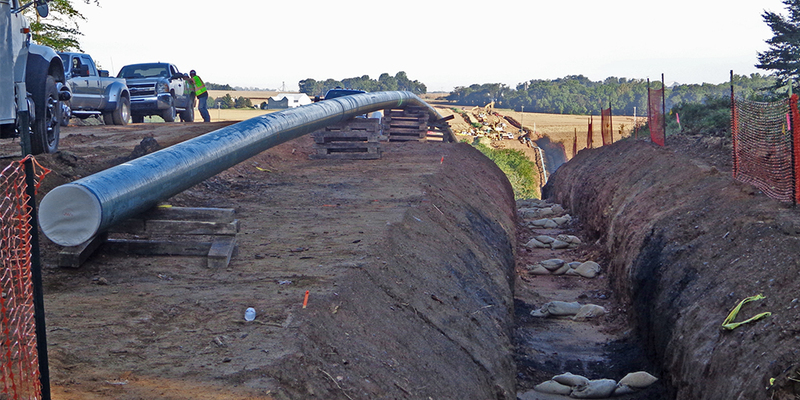 GTA provided wetland permitting and third party construction observation services for this approximately one-mile natural gas pipeline project, which was a result of a bridge replacement and relocation project. To successfully obtain the required Federal and State wetland permits for horizontal directional drill (HDD) installation of a 6-inch natural gas pipeline beneath approximately 731 feet of tidal waters and 2,385 feet of tidal wetlands of the Choptank River, GTA coordinated with the Maryland Department of the Environment, Maryland Department of Natural Resources, Maryland Board of Public Works (BPW), United States Army Corps of Engineers, National Marine Fisheries Services, United States Fish and Wildlife Service, and the Maryland Historic Trust. 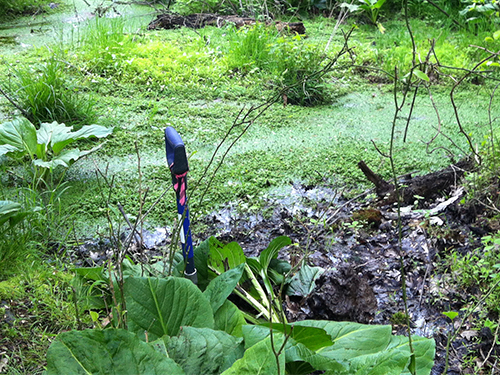 As a condition of the Tidal Wetlands License issued by the BPW, GTA served as a third party contractor to perform third party observation services, during HDD operations. Key among these services was the observation of the loss of drilling fluid return (frac-out) during HDD operations and the pull-back of the 6-inch steel pipe. As part of this service, GTA referenced the Horizontal Directional Drilling Inadvertent Surface Release Contingency Plan. Throughout the construction of the project, GTA maintained an open line of communication with the reviewing agencies, client, and contractor. The project concluded with no inadvertent releases.